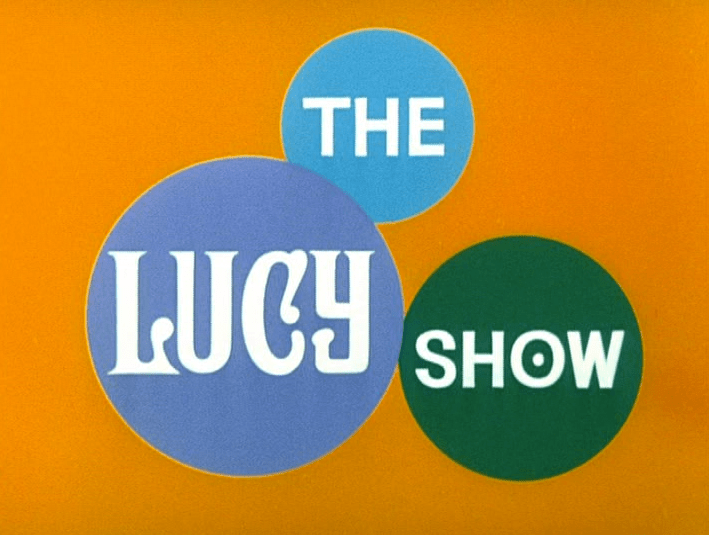 The Eight Best THE LUCY SHOW Episodes of Season Five | THAT'S ENTERTAINMENT! Welcome to another Sitcom Tuesday! 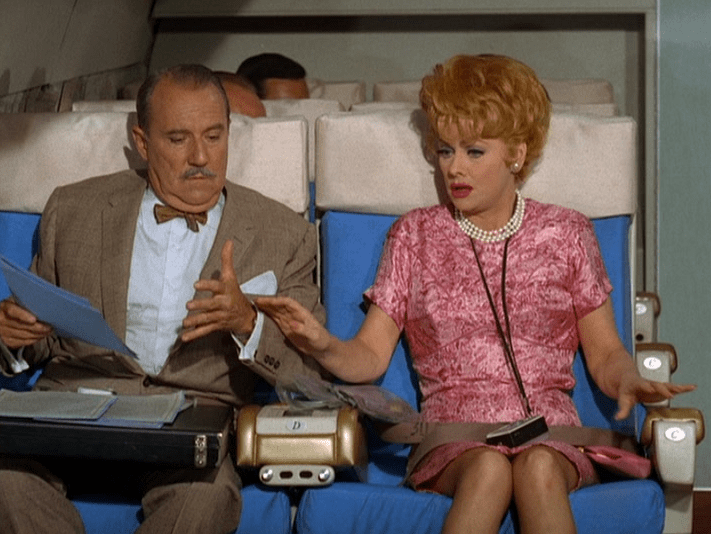 Today we’re continuing our series on the best episodes of The Lucy Show. This was Lucille Ball’s third situation comedy. (I’m counting The Lucy-Desi Comedy Hour as a separate series, even though it was essentially a reformatted continuation of I Love Lucy.) Every single episode is available on DVD. When not working at a Los Angeles bank for the cantankerous Mr. Mooney, widowed Lucy Carmichael pals around with her daffy neighbor, Mary Jane. Lucy’s schemes, often involving local celebrities, usually place herself and Mr. Mooney in all sorts of strange predicaments. 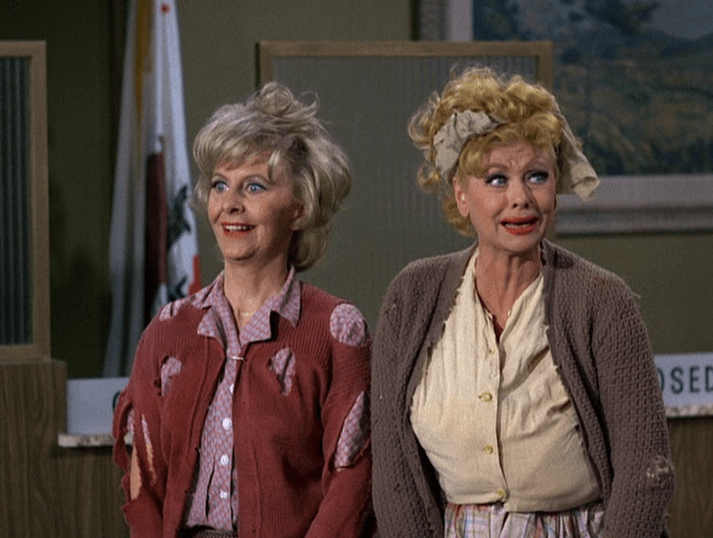 The Lucy Show stars LUCILLE BALL as Lucy Carmichael, GALE GORDON as Theodore J. Mooney, and MARY JANE CROFT as Mary Jane Lewis. 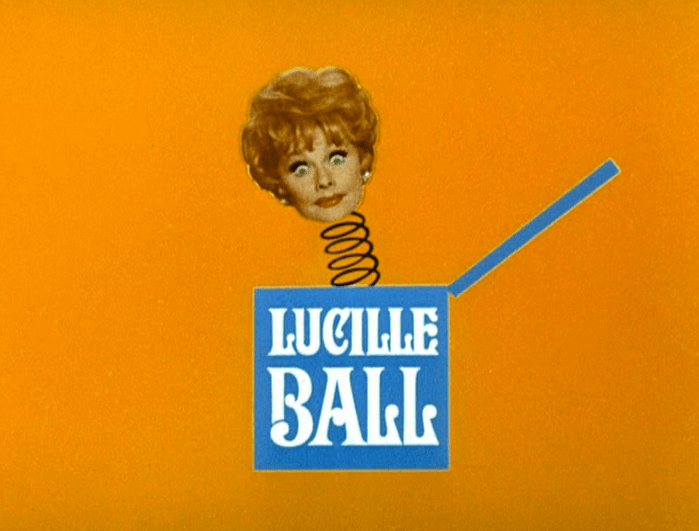 Season Five is the shortest half-hour season of any Lucille Ball series (save the ill-fated Life With Lucy), producing only 22 instead of the usual 26 episodes. 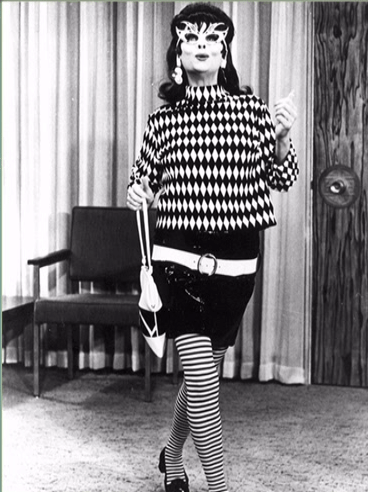 The reason for this reduced total was due to a special Lucy did for CBS on location entitled Lucy In London. 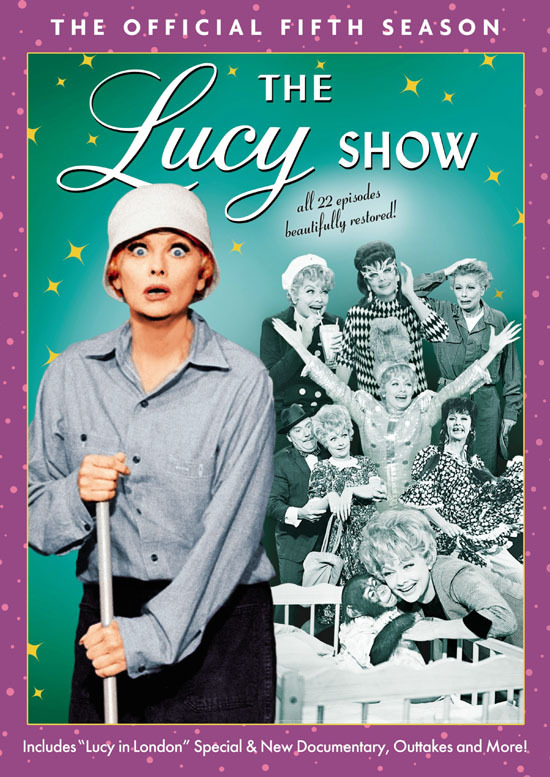 Technically not a part of The Lucy Show series, the special has since been made available on DVD, along with the complete collection of 22 episodes — 21 of which have been released into the public domain. It’s rather unfortunate that of all seasons, this was, for the longest time, the only season of this series available on DVD. The truth is — Season Five is the WORST season of The Lucy Show. By 1966, the series had evolved into a parade of largely mediocre guest stars, and the stories became stupider than ever. You all know that I love Lucy, but, honestly, this is just NOT a very good season. (Surprisingly, Lucy won her first post-I Love Lucy Emmy or this lackluster season of work.) Like Season Four, I couldn’t pick ten good episodes. It was still difficult, but I managed to pick eight episodes that I think exemplify the season’s strongest installments. For new fans, this list will give you a place to start (once you get around to this unfortunate season). For seasoned fans, there might be a few surprises. Here are my picks for the eight best episodes of Season Five. (They are in AIRING ORDER.) Note that each episode this year was directed by Maury Thompson. Lucy plans to refurnish her apartment by capitalizing on a bean company’s deal to give double refunds upon dissatisfaction. This installment works because Lucy is portrayed as intelligent and crafty. Furthermore, she’s given real integrity. 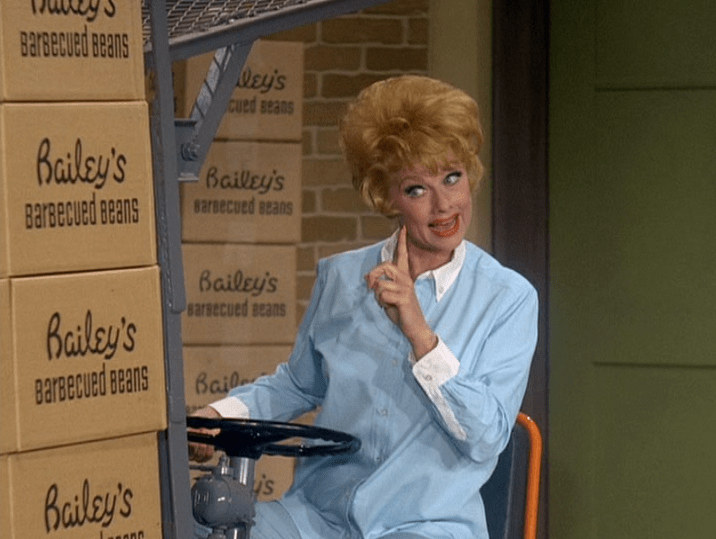 The plot was lifted from a Fibber McGee and Molly script, but is Lucy-fied with a bit that allows the redhead to run amok on a forklift. Ultimately, a satisfying installment. When Lucy gets Mooney’s expensive ring stuck on her finger, she takes tranquilizers to try and relax. 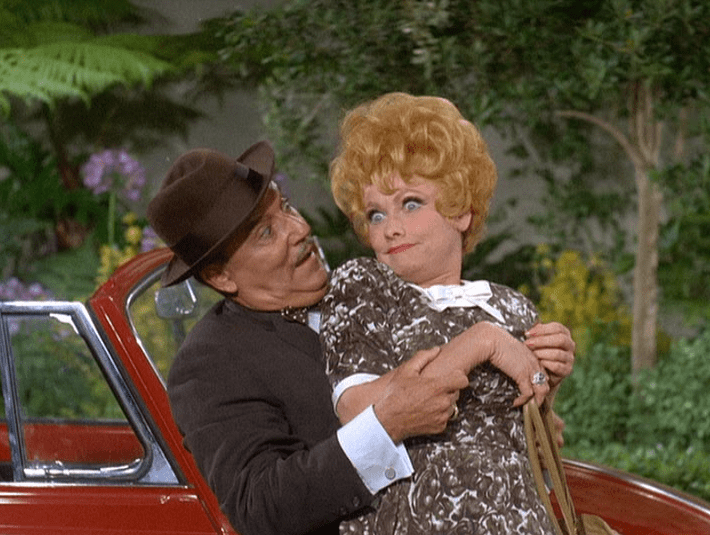 This gag is old hat (and will be even more so when Lucy meets the Burtons in 1970), but Lucy is such an expert physical comedienne, that she makes it worthwhile for us to put aside our story qualms and simply appreciate her showmanship. She and Gale work very well together here, and this one is good for a few laughs. Lucy enters a jingle writing contest and wins a free trip to London. But when she misses her plane, she ends up next to Mooney on a commuting flight. Written by Bob O’Brien | Special Material by Madelyn Davis and Bob Carroll, Jr. 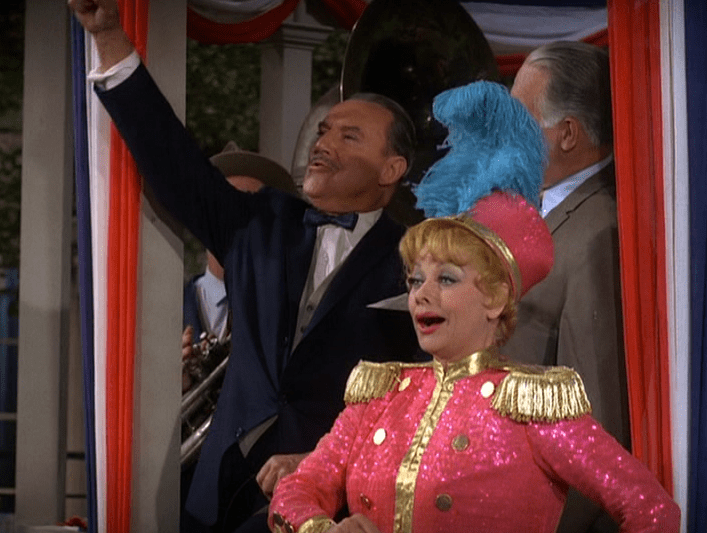 This episode was adapted from a superior skit from The Victor Borge Comedy Theatre in which Lucy and Gale both appeared earlier in the decade. Nothing spectacularly fresh is added here, but the show is predictably funny and the performers do well. Mary Jane and Lucy try to loosen up the latter’s shy new roommate. 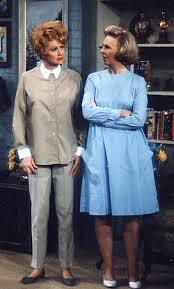 Carol and Lucy have great chemistry together, and since Lucy lets Carol be the zany one, there are quite a few laughs. In fact, this is one of the simpler episodes of the season, with an emphasis on character. Incidentally, the majority of the episode takes place in Lucy’s apartment. Lucy cancels her vacation plans to spy on the beautiful temporary secretary, whom she thinks has designs on her job. This episode features a reasonable premise, a well-cast guest star in Ruta Lee, and a generous helping of laughs. 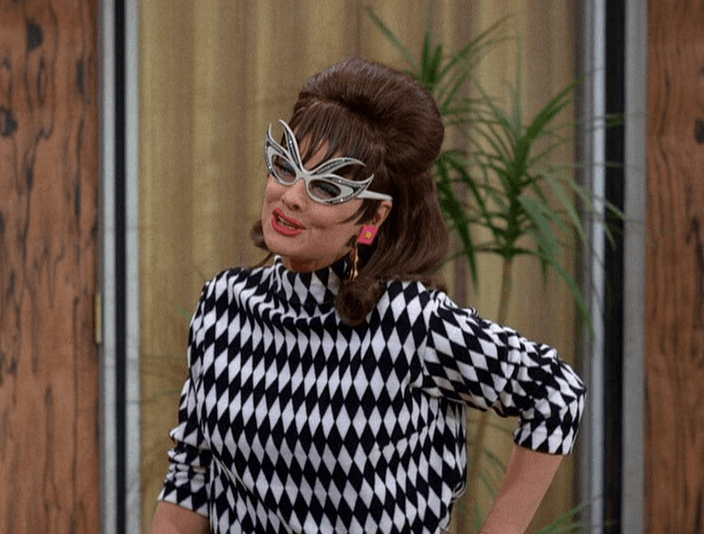 Mooney not recognizing Lucy in disguise is such a contrivance, but the episode is too funny for us to care. Comedy trumps everything else in this painful season, and this episode gets an A+ for laughter. Vivian comes to visit, and she and Lucy end up on the Sunset Strip in an attempt to track down a mutual friend’s delinquent son. It’s thrilling to see Viv back, even though this script is beneath her talents. The ladies have a great, natural chemistry together, and the continuity addressed through her appearance is refreshing. There are a few laughs, but by and large, this episode is most notable for reuniting our favorite comedy duo. Lucy is mistakenly arrested for shoplifting, but she believes her charge is simply littering. Characters getting arrested was “sitcom” even before sitcoms existed. Lucy’s interactions with her over-the-top cellmate easily take the cake as the most enjoyable from the episode, but the confusion between Lucy and the officers is actually pretty amusing too. Lucille is very good here. Producer Sheldon Leonard wants to shoot a pilot in Mooney’s bank, but Lucy thinks he’s a gangster, and employs Mary Jane to help her catch him. This is a classic misunderstanding, and one of the funniest episodes of the season. 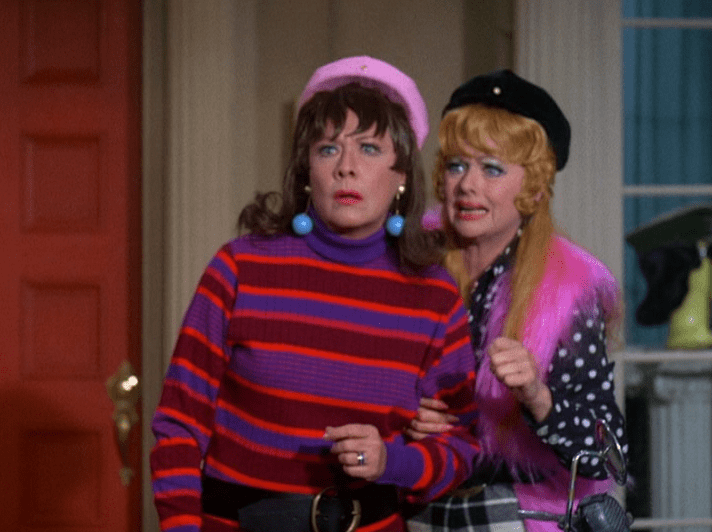 Many fans tout this episode as one of the few times that Mary Jane legitimately fills the Vivian void, but aside from joining Lucy in pretending to be a scrub woman, she still functions as a lesser factor. Leonard doesn’t get to do much, but it doesn’t matter — this is Lucy’s show, after all. 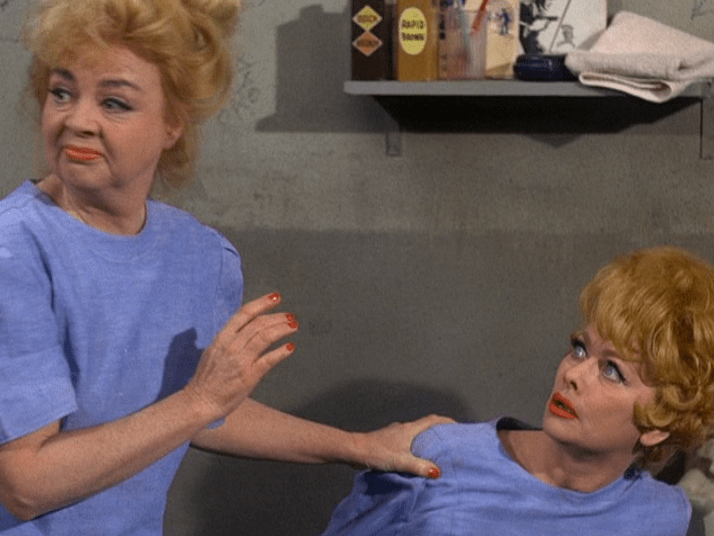 *** The MVE Award for the Best Episode from Season Five of The Lucy Show goes to…..
Come back next week for the best from the (much improved) final season! And tune in tomorrow for an all new Wildcard Wednesday post! You’re right, and this season (in my opinion, the show’s weakest) has seen more play than any other because most of these episodes have lapsed into the public domain. Of course, I think most people would agree that the Vance years are superior, but I must add that Season Six is a notable improvement over Seasons Four and Five, and I think it represents the best of TLS’ Los Angeles era. I am amazed that we see this season so differently. I believe the fifth season of the Lucy Show is brilliant, and the best of the entire series. In fact, I find many of this season’s episodes to be even better than many of I Love Lucy show. It is just that great! 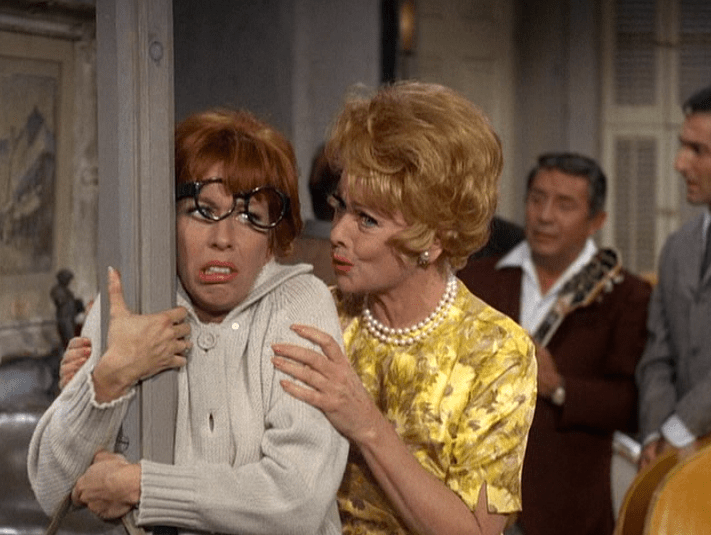 Again, the fifth (and sixth) seasons found the Lucy Show nominated for Best Comedy Series amongst other stellar shows such as Bewitched and Get Smart. Lucille Ball is outstanding this season, giving her best performances of the decade. I am, frankly, stunned that you believe that you couldn’t find 10 episodes in your “Top Ten List” to showcase, as I only have viewed a couple of clunkers from this entire, brilliant season. Hi, Greg! Thanks for reading and commenting. As for not choosing ten episodes to highlight here at the time of publication, I regretted this decision in hindsight (mostly because I didn’t want to give the impression that I considered the weakest seasons of THE LUCY SHOW to be worse than the weakest seasons of HERE’S LUCY, all of which got full lists), so I rectified the situation by featuring my additions – for both Seasons Four and Five – in this entry from December 2015, which you can find here.